Red Cloud has a variety of businesses waiting to meet your needs. From wine and gifts at On the Brix, Literature and Pacha Soap at the Willa Cather Bookstore, lovely flowers and accessories at Meadow Creek Floral & Gift, western wear and more at Shades West, a variety of goods at Village Pharmacy, and a picker's plenty at Pine Tree Antiques, you'll find what you need and what you want right here in town. 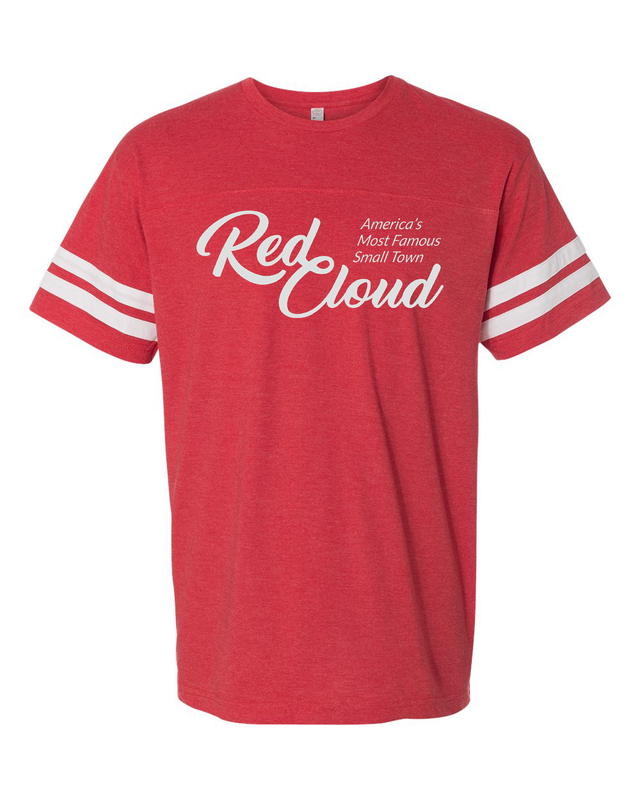 Support local businesses and help keep downtown Red Cloud vibrant and attractive. Casey's Convenience store has a variety of hot, freshly prepared food (including pizza and breakfast items) in addition to an array of retail items. Call for more information or to order a pizza. Located at the intersection of Nebraska Highway 78 and US Hwy 136 just north of Guide Rock, the Country Corner offers convenience store staples, gas, and meals including a deli. Dollar General has a wide variety of goods, clothing, and groceries. Live edge walnut tables & barn tin letters, words, states! We're always adding new things to our list of available items. Open 9am-7pm M through Friday; 9am-530pm on Saturday; 11am-4pm on Sundays. Red Cloud's grocery store, featuring a wide assortment of goods including fresh produce and meat. Specializing in fresh floral arrangements, plants, and candy boquets. Step into the gift shop and browse the collection of candles, collectibles, home, garden and seasonal décor. In addition to gasoline and convenience store products, Olson's serves hot lunch during and breakfast during the week and has a wide variety of beer, liquor, and wine. Breakfast is available from 6am-9am M-F and the kitchen is open from 6am-1pm with daily lunch specials. The On the Brix Tasting Room: Serving wine, classic cocktails & local craft brews in an environment that is both relaxing and entertaining in Red Cloud, NE. Includes a retail area selling local beer and liquor as well as a selection of wines and other products. Meat and cheese trays and desserts available as well as delivery service from Fat Fox's. Located in the newly restored Moon Block within the National Willa Cather Center. Stop by Monday through Friday from 9:00 a.m. to 5:00 p.m. or call 402-746-3104 after hours. For the history enthusiast, Pine Tree Antiques has a variety of distinctive items. From the rugged plains of Nebraska, Shades West is Red Cloud's premier western outfitter. Offering the latest in quality western clothing and accessories, hats, boots, belts and buckles, along with saddles and tack. From prescriptions to toiletries, and housewares to collectibles, this pharmacy truly has it all. There is something appealing for everyone in the family, from toys to apparel and keepsakes to gift items. The Willa Cather Foundation Bookstore offers an extensive collection of books by and about Willa Cather, as well as select books by regional authors. Shop the wide selection of prints and photos, posters, videos, apparel, and Cather memorabilia. Be sure to pick up some of the beautiful, hand-crafted domestics made by the Willa Cather Foundation tour guides.